I "cheated" a little last night. 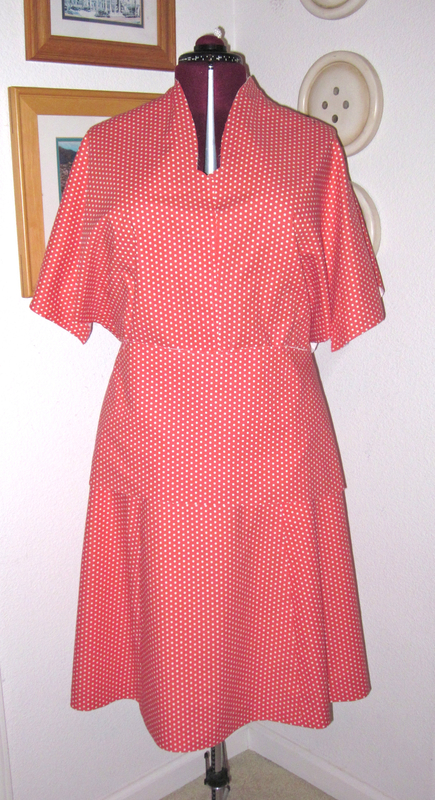 Just before I went to bed, I pinned some key pieces of the polka dot top to my dress form. It's shaping up quite nicely! Love it. I particularly like the collar and the sleeves. Can’t wait to see the finish product. Thank you! There are some funky pleats along the shoulder near the neck. I may like it better the way it looks in this picture. We’ll see, but the neckline is pretty.